We pride ourselves on offering good customer service at reasonable prices. In our accountancy team, we have a high number of experienced and qualified staff members, who are able to assist you at every stage of your accountancy and taxation requirements. Many other firms have started hiring lots of young inexperienced staff with high turnovers or outsourcing client overseas, which we do not believe in. You can therefore be assured there is always someone to assist you with your queries. Our team consists of both Chartered Tax Advisers (CIOT) and Qualified Accountants (ACCA and ICAEW), whilst our Payroll Department is headed up by Bernadette who has extensive knowledge in this field. We also offer bookkeeping services and support to assist you with your Making Tax Digital requirements. 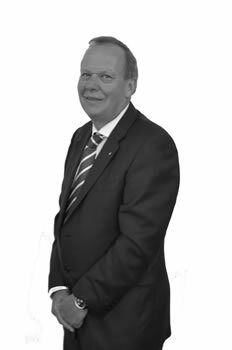 David trained with a local firm in Stevenage, qualifying in 1974 with the Institute of Chartered Accountants in England and Wales. From 1975 to 1978, David worked for Ernst & Young supervising various large corporate audits. In 1978, David joined the firm and became a partner in 1980. David’s area of expertise includes the auditing of large corporate and solicitor clients together with advising on all areas of corporate finance. He is a member of The Rotary Club of Bedford Park, and is on the Lawn Tennis Association board. He is a keen cyclist and a county tennis player and regularly plays in tournaments around the world. 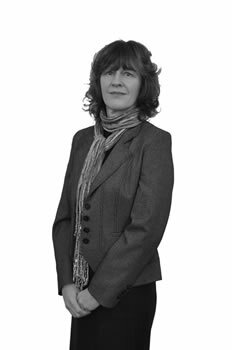 Tracey began her training in 1986 in a local practice before joining the firm in 1988. 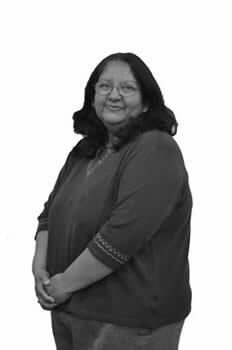 She qualified as a Chartered Certified Accountant in 1994. Tracey successfully completed and passed the ACCA audit orientation course and test in September 2000 and currently holds a Practising Certificate and Audit Qualification. For six years Tracey undertook the role of the firm’s Training Manager, supervising the development of the firm’s trainees. In April 2009 she was appointed a Limited Partner within the firm. Tracey manages a broad portfolio of clients, including sole traders, partnerships and family owned companies as well as groups of companies and provides a range of services including Audit, accounts preparation, personal and corporate taxation. Tracey has a friendly but professional manner and is extremely dedicated, building up good working relationships with her clients and providing them with accurate and helpful information. Tracey has served on the committee of Bedfordshire Businesswomen and in 2001 was awarded runner-up prize in the Bedfordshire Businesswoman of the Year Awards in the category “within an existing business”. Her interests include reading, the theatre and cinema. 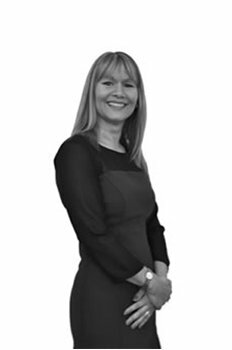 Tracey joined the firm in 1988 as a trainee and further to gaining expertise in many areas of accountancy and auditing she became a limited partner in 2009. She looks after a varied portfolio of clients, which includes solicitors, insurance brokers, charities and doctors together with small and medium sized companies and group of companies. Tracey also has many years experience in management consultancy services which she provides for a varied number of clients. Away from the office Tracey is a busy mum of two young children and enjoys a varied social life which includes the theatre and cinema together with keeping fit and eating out. 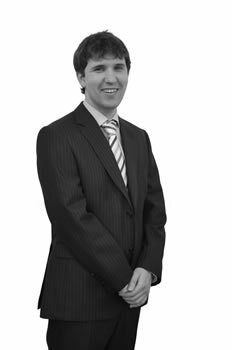 Matthew became a tax partner of the firm in April 2017; having originally joined as a trainee in 2005 from Bedford School. He successfully completed his exams and practical experience requirements to become admitted as a member of The Association of Chartered Certified Accountants (ACCA) in 2010. He continued to develop his taxation skills further by achieving the prestigious Chartered Institute of Taxation (CIOT) qualification in February 2016 through the Owner Managed Business route. Matthew has a varied client base and being one of our specialist Chartered Tax Advisers in the firm; he’s often one of the first point of contacts for specialist tax advice within the practice. Matthew is able to advise on specific taxation matters to help you mitigate or defer your tax charges. Areas he is able to provide advice on include Property Taxes, Cryptocurrencies & Share Trading, Income Tax (incl. overseas matters & The Statutory Residence Test), Capital Gains Tax, Inheritance Tax Planning, Corporation Tax, VAT, HMRC Investigations, along with other specialist taxation matters. Matthew believes in a proactive approach and likes to make his clients aware of the small tax savings available as well as the larger savings that can be had. He carries this out in a friendly, efficient and approachable manner. 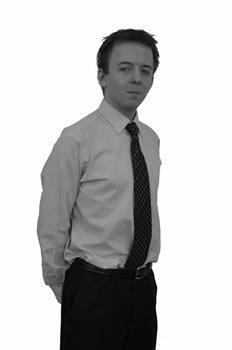 Having joined as a trainee, Matthew has developed his accounting and taxation skills by gaining diverse experience during his time at Rawlinson Pryde & Partners. He works and has worked with sole traders, partnerships, Limited companies and on audits to ensure his clients remain compliant with their statutory obligations. As well as the more complex areas he tackles; he is able to offer assistance in the preparation of management accounts, Cloud Software Programs, day-to-day bookkeeping, completion of VAT returns and ECSL. With Matthew’s taxation knowledge he has created some handy booklets and letters for both our existing and prospective clients, such as our new business 2016/17 booklet and a letter explaining some of the impacts of the dividend tax changes. Outside work, Matthew has assisted with the administration of The Friends of the Blues scheme (formerly known as Bonus Try Fund) since 2007, which raises circa £30k per annum for the Bedford Blues. He is also a trustee of The Bedford Educational Association, which assists schools and school children in Bedfordshire. In his spare time he is often seen on the golf course trying to reduce his handicap. He also enjoys watching all sports, including the Blues play rugby and is a keen skier (especially the steep mogul fields). Laura became a partner of Rawlinson Pryde in April 2017, having gained experience within the firm for over 10 years. Laura was admitted as a member of the The Association of Chartered Certified Accountants (ACCA) in February 2011 after successfully completing the exams and practical experience. Having enjoyed the tax element of her studies, Laura then went onto obtain the prestigious Chartered Institute of Taxation (CTA) qualification in January 2017, making her the ‘go to girl’ when it comes to tax planning. Laura has a varied portfolio of clients including private clients, sole traders, partnerships, limited companies and charities. She believes in good customer care, providing her clients with a professional and friendly service while creating long lasting working relationships. 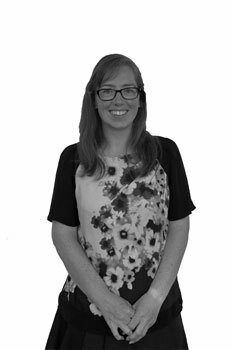 Being one of the firm’s specialist Chartered Tax Advisors, Laura is able to assist clients with tax planning advice in areas including Personal Tax, Capital Gains Tax and Reliefs, Property Taxes, Inheritance Tax, Corporation Tax, VAT (including overseas aspects), and Cryptocurrency Taxation (both trading and mining). With the constantly changing rules around Property Tax, Laura has undertaken many property reviews for her clients, helping to find ways to mitigate their taxation liability for Income Tax, Capital Gains Tax and Stamp Duty Land Tax. Laura also prepares company accounts, independent examinations, management accounts, and other ad hoc services for her clients. She has valuable experience in auditing limited companies, charities and solicitors, and in producing group accounts including consolidations. In her spare time Laura enjoys socialising, playing tennis, watching sports, reading and can often be found at the weekend with a glass of wine in her hand! She also likes to get involved in charity work, with her last challenge involving swimming across the English Channel with a team, to raise money for Cancer Research and a Bedfordshire cancer support group. On completion of her A Levels in 1989, Letizia began her training with MacIntryre Hudson in Bedford, as an AAT trainee. After successfully gaining the AAT qualification she joined the firm’s ACA training programme. In 1995, after part qualifying with the ACA, Letizia decided to return to full time education and joined South Bank University’s full time, degree level, Professional Accounting Course which led to her qualifying with the ACCA in 1997. 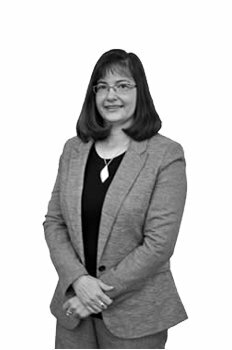 After a short period of time working for a small firm in Toddington, Letizia joined Rawlinson Pryde in 1998. With over 20 years of experience in Audit and Accounting Services Letizia manages a broad portfolio of clients including sole traders, partnerships and family owned companies. Her particular areas of expertise are the audit of small and medium sized firms, Solicitors Regulatory Authority’s rules audits and the preparation of statutory LLP accounts. With her approachable and friendly manner, Letizia has built up a very successful working relationship with all her clients. Away from work Letizia is a busy mum to two children. In her spare time Letizia enjoys aerobics, reading, cinema and theatre, and dining out. Phil joined Rawlinson Pryde in 2001. Prior to joining the firm he had gained extensive experience over a number of years in both practice and industry. Previously Phil had attained an HND in Business and Finance from Bristol, UWE. He began his professional training at another practice in Bedford before qualifying and becoming a member of the ACCA in 1999. 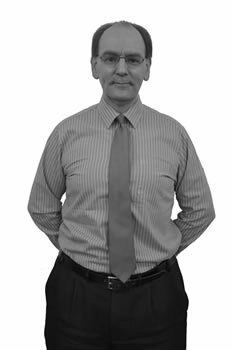 Phil is responsible for completing the year end statutory accounts and corporate tax affairs for a wide range of owner managed limited companies, as well as carrying out audits. In addition he deals with the personal tax affairs for a portfolio of clients that includes individuals, sole traders and partnerships. Away from the office Phil enjoys watching sports (including: football, formula 1 and cricket), live concerts and eating out. 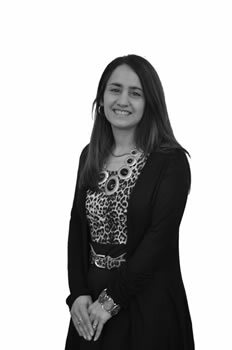 Sabrina joined the firm as a trainee accountant after completing her A-level qualifications. Later, in 2010, she achieved her ACCA qualification with support from the firm’s ACCA-approved development programme. During her tenure Sabrina has developed valuable professional accounting practice experience and is currently responsible for managing her own client portfolio. 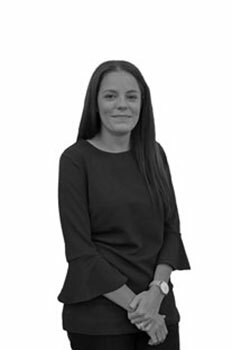 Sabrina’s experience includes: accounts preparation (sole traders, partnerships, and companies), managing company audits, involvement in the auditing of group accounts, solicitors and FSA audits and assisting companies and individuals with their taxation requirements. Sabrina’s strengths include building and maintaining strong personal and professional relationships through her open and friendly approach. 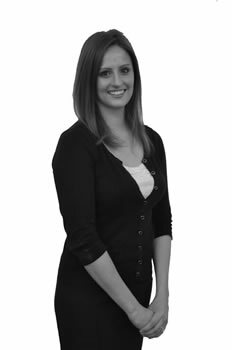 She is dedicated to ensuring the highest levels of client satisfaction. In her free time, Sabrina enjoys travelling, keeping fit, and socialising with friends and family. Jonathan joined the firm in 2001 as a trainee immediately after leaving upper school. After passing all the exams and completing the practical experience required to become a member of the ACCA, he went on to become a fellow in 2011. During his time with the firm Jonathan has gained a wide range of experience, from preparing the accounts and tax returns for sole traders to leading the audit team when working at clients. He is currently responsible for a diverse portfolio of clients including sole traders, partnerships, companies and charities. In his spare time Jonathan is a published author and enjoys travelling, reading and being a little too competitive at sports. Izabela joined Rawlinson Pryde and Partners in 2007. Originally from Poland, Izabela studied Corporate Finance and Accountancy at the prestigious Poznan University of Economics, where she gained a masters degree. Shortly after obtaining this she arrived in England to undertake the ACCA qualification with University of Bedfordshire. Whilst studying, an opportunity arose to join Rawlinson Pryde & Partners to complete her training and gain valuable experience. Izabela was successful with her studies and qualified as a Chartered Certified Accountant in 2012. 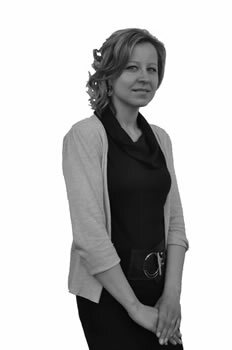 Izabela has gained a wide experience in the preparation of accounts for sole traders, partnerships and companies, personal and corporation tax computations, VAT returns and audits, as part of a team. Away from work Izabela enjoys travelling, reading books, socialising and politics. Bernadette is originally from Zimbabwe, and although she started off working in the banking sector she changed to bookkeeping/accounts roles after having a go at balancing the bank’s books on a daily basis. She has gained a wide range of experience in bookkeeping, accounts and payroll jobs both abroad and in the UK, ranging from working for sole traders, small and medium companies all the way up to the large Ernst & Young accountancy firm. After moving to the UK in 1989, she has worked in London, Luton, Bletchley and Stevenage, finally settling in Bedford in 1995. She joined RPP in May 2008. Alice joined Rawlinson Pryde & Partners in 2018 due to re-locating back to Bedford, having gained over a decade of experience both in industry and practice. Alice is familiar with Quickbooks, Sage and various cloud accounting packages. Over the years, Alice’s level-headed, patient and detail orientated approach has helped with not only all aspects of day to day bookkeeping, but also for assisting in training clients to help manage their own books more easily. Outside work, Alice is busy Mum to two daughters; has a keen interest in travelling; live music; theatre; bespoke cake making and tall buildings! Naomi joined the firm in 2018 as a Bookkeeper and Accounts Assistant after completing her AAT level 3. Naomi is looking to continue on with her studies. She moved to Rawlinson Pryde & Partners from Northampton, where she worked in the accounts department of a Solicitor’s firm. Naomi’s role covers assisting with the day to day bookkeeping for various clients and she is involved with the Making Tax Digital implementation for clients. As part of Making Tax Digital she is assisting the clients with their training with the relevant software's. In her free time Naomi enjoys baking (much to the delight of her office colleagues) and going to the cinema. Joan joined Rawlinson Pryde in October 1989 as Secretary to two of the then five Partners. Sets of Accounts were prepared on typewriters back in those days so accuracy was a must! Times have changed a lot since then and Joan now looks after the Senior Partner, David Rawlinson, and all which that entails! Her 20+ years of service have seen her build good relationships with both long-standing and new clients alike. Socially, Joan enjoys walking, theatre and concerts and eating out. Biking to and from work helps keep her relatively fit. 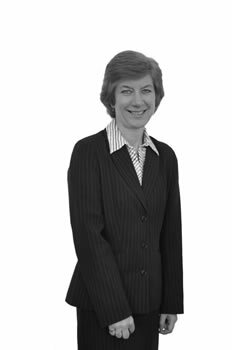 Anne has been with Rawlinson Pryde since the year 2000. As well as being part of the administration team she also takes care of reception and is normally the first point of contact for our visitors and clients. Anne started her career as a Graphic Designer with Bedfordshire County Press and studied Art & Design at Bedford and Northampton colleges. She was born and lives in Bedford and has extensive local knowledge. During her spare time Anne enjoys country walks, amateur and national theatre, live music and comedy. She likes a good book especially if it’s on a faraway beach.